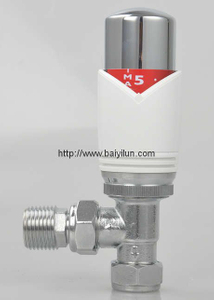 The thermostatic radiator valve can automatically adjust the room temperature to meet your need. 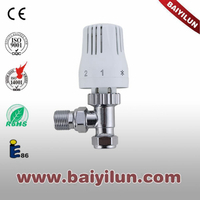 It is designed to control flow rate in the room to reach a balance between the interior temperature and the needed temperature. 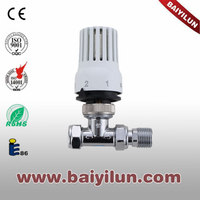 Thanks you for your choice.Thermostatic radiator valve is used for home,office and so on where need to change the temperature automatically.The right choice,fixing,and using of this product can save the money and improve the comfortable feeling.It is of anti-heat and anti-freeze. 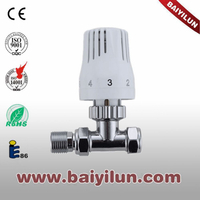 1.if you want to set the temperature to 20 °C,you can turn the number on the”3”,the thermostatic radiator valve will close or open automatically to keep the temperature around 20 ±1°C,if you wanna higher temperature,you can turn the number on the “4” or “5”,between “1” and “2” for sleeping. When going outside or ventilate the room,you can turn the number on the “*”.It can keep the room at a certain temperature and be of anti-freeze. 3.Should keep the shell of thermostatic radiator valve clean and ventilated. The shell should be clean with the soft liquid,not the alcohol or bleach liquid. 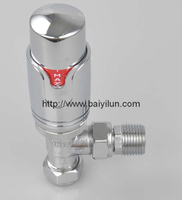 2.The thermostatic radiator valve should be installed horizontally. 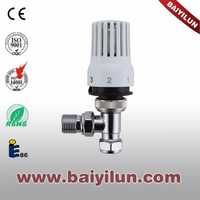 3.To ensure the temperature in the room exactly,we should avoid strong lights when installed;and not to be covered by curtain of furniture.